You are here: Home / Appreciation / Know What We’re Most Thankful For? YOU! Know What We’re Most Thankful For? YOU! We’re thankful for you every day, because you make the every-day things possible. You’re caring for orphans and widows 24/7 – giving a child a steaming bowl of rice and beans, tucking them in for a good night’s sleep in a cozy bed, and everything that goes along with raising a child. Because of you, disasters became distant memories, and those who feared for their lives are now safe. You're their hero! Your prayers are powerful and effective. And we can’t thank you enough for them! 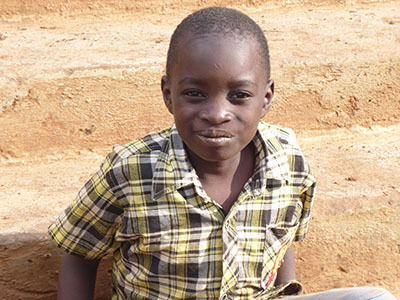 You may remember Tom, an eight-year-old in Kenya who was hit by a motorbike while crossing the street. (Read up on his story here!) You not only contributed financially to help cover his medical costs, but you prayed for his recovery. By God’s grace, Tom went from being spoon-fed in the hospital to now WALKING on his own! He even had a stutter before his accident that’s now completely gone – just like God wanted to show off with an extra dose of healing. You knew that only God could bring the healing Tom truly needed – thank you for praying for him so fervently. And not just him, but the orphans and widows you serve with your financial support! To all of our incredible Kinship Sponsors, your generous monthly gifts meet all of the children’s daily needs, and you help Kinships prepare for the unexpected. It’s a huge blessing for them to know they can count on you every month. Thanks to monthly sponsors of the Cayacoa Kinship, the children are all in good health and are progressing beautifully in school – and that’s a big deal! For a child like Yohani, who didn’t speak any Spanish when she moved into the home and also had a very nasty and painful infection in her knee. Being able to talk freely with her peers and take part in the church dance group is a beautiful testimony. 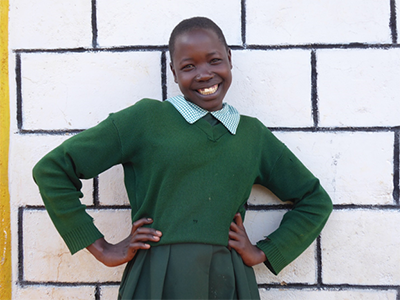 Ephraim Kinship sponsors changed the life of a girl named Viona, a 13-year-old at the Ephraim Kinship. After her parents died, she lived with her grandmother, who was too drunk to take care of her; she would even beat Viona and refuse her food sometimes. This was six years ago, and today Viona is at the top of her class and the Ephraim Kinship is the best home she’s ever known. And earlier this year, the Lumut Kinship Kids were rescued by their sponsors – again! In addition to saving these children from child marriages and mutilation, they were also kept from school suspension. The kids were being ridiculed about their tattered clothing, and their home was even threatened with closure if they didn’t get appropriate uniforms soon. Thanks to their sponsors, they are looking sharp and still studying hard! From everyone here at Kinship United, thank you for all you do. We’re humbled by your kindness and generosity. None of this would be possible without you.